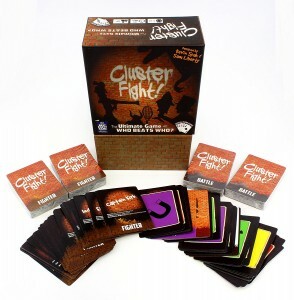 Clusterfight Second Edition is now available at a new low-low price, exclusively on Amazon. It includes everything from the base game’s first printing, in a new, conveniently smaller box. It’s compatible with all of the first printing’s expansions (“The Gang’s All Here,” “And Whose Army?” and “Science Friction”).